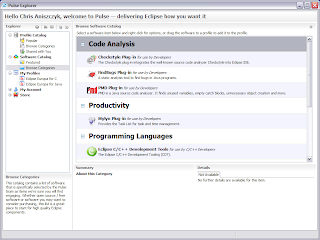 Pulse launched today. 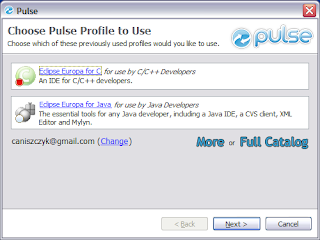 What is Pulse? Well, it’s quite a few things but let me tell you a story about it in pictures. That’s Pulse in pictures for you. 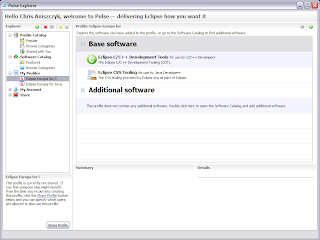 I see a lot of potential in Pulse as revolutionizing the way the Eclipse community manages their plug-in install base. However, I have some worries. Pulse seems to be backed by only one company currently and to appeal to the greater community, they may have to open up more. What do I mean by this? 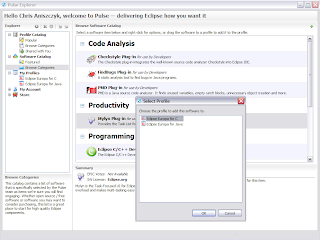 Well, it seems that in order to add software to the catalog, you have to go through an autocratic process. 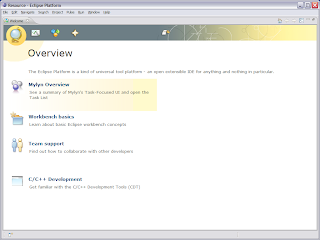 I understand that the process may help ensure only quality items end up in the catalog, but opening it up to everyone similar to the Netbeans Plug-in Portal is a step in the right direction. 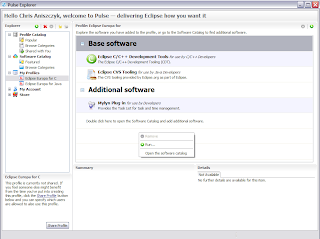 Other than that, hats off to the guys behind Pulse for putting together an excellent tool and service.